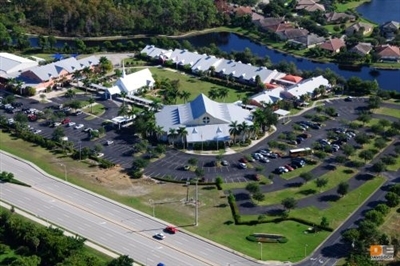 NORTH NAPLES -- A Florida United Methodist church is reaching out to new generation followers with an interactive online campus that not only allows viewers to watch live Sunday services but pray live with someone online, ask questions of a live host and build relationships with a church they may never actually see in person. 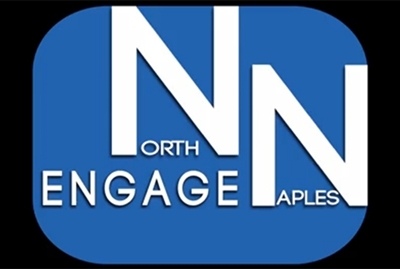 North Naples UMC, below, is exploring a new mission field of potential parishioners via Engage Online, an interactive Internet church. Photos from North Naples UMC. Launched Aug. 25,Engage Online crashed on its first day because would-be users overwhelmed the new site. A typical Sunday sees more than 100 people log onto the site, and that is just the beginning, said Don Nations, ministry director at North Naples UMC and a driving force behind Engage Online. “The idea is not just to provide a service online but to feel like there’s a real connection,” said Nations, who drafted the mission paper and step-by-step guide for the online campus. So what’s the difference between the online campus and just streaming videos of Sunday services, as many churches do? “As the campus develops, you will be able to complete an individual profile, access sermon discussion material, have a dialogue and interact with others and a whole slew of features we are going to roll out one at a time,” Nations said. Rev. Ted Sauter, North Naples’ senior pastor for 22 years, sees the effort as another way to connect with people. “Our church is committed to reaching people in today’s world, and that world has changed dramatically over the last few years with technology and the world view of younger generations,” he said. One of the 100 largest United Methodist churches in the U.S., North Naples has almost 2,300 members, with 1,500 turning out for services and a budget of $3 million a year. “In America today, we have 100 million people who have access to the Internet who are not churched,” Sauter said. “And from surveys, we understand that most young people are not interested in institutions, and that includes organized religion. However, they are interested in spiritual matters, including the Gospel. Church leaders are targeting several demographics with the new site, Nations said, and they don’t believe geography is a barrier to participation. “We have multiple target audiences from caregivers in our area who can’t come to church, wounded warriors, people with dementia, families who have children with autism or developmental delays, those who are traveling or those who just come here in the winter,” he said. North Naples UMC spent $300,000 to launch the project, although some of that also benefits the physical church with better lighting and sound equipment. The Florida Conference is also backing the effort with $54,000 in the first year, $35,160 for year two and $16,320 for year three. The funding comes from a formula used to allocate support for new church starts. “The rationale is that this is part of our attempts to explore creative ways to reach people that we are not currently reaching with traditional means,” explained Rev. 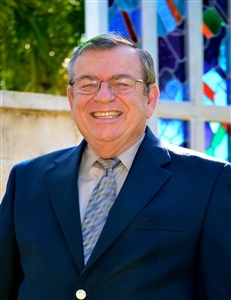 Dan Jackson, the Florida Conference’s director of New Church Development, who was appointed to that role after funding for the iChurch was approved. Though cutting edge, the website follows an old tradition. 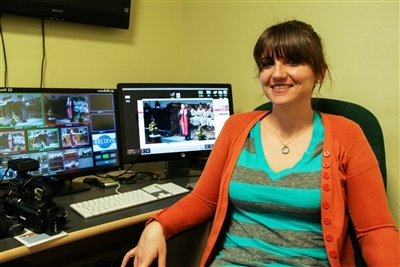 The site is designed to appeal to young people because it is integrated with all the major social media platforms, according to Lindsay Durrenberger, Engage Online’s campus coordinator. Engage Online’s Facebook page, launched with 30 likes, now has more than 1,200. “There’s a huge audience of young people out there who have learned to get their information online. [The online world] is almost an extension of us,” said Durrenberger, 27, who oversees the site with Zach Hamilton. The website can also act as a stepping stone for those who crave a more spiritual approach to life but are reluctant to step inside a church, Nations said. Kent Friedman, a frequent visitor to the site, said he enjoys interacting with others during the online service, no matter where he is. With the site’s “instant messaging” feature, Friedman can interact with other people who are online. The founders of Methodism would be proud, Friedman said. For more information, check out Engage Online’s website or the group’s Facebook page.